In it’s online time this was the fourth of the Midi Mystery Designs – between the tiny ones, and the huge ! 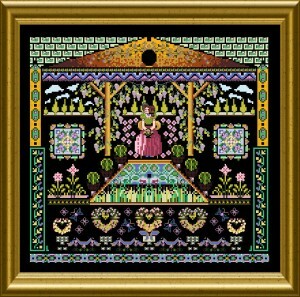 This gives as much detail, intricacy and lovely small extras as the big one, with the effect , that it is not as…..big ! 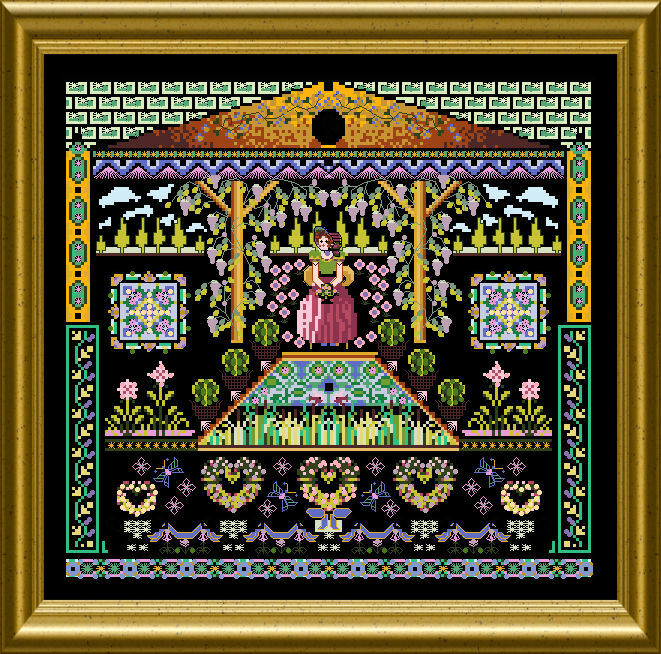 You will stitch cross stitch, lots of Special Stitches, Backstitching – use floss and silks, metallics and beads and such – for a beautiful, dimensional embroidery of a Baroque herb garden – together with the gentle gardener doing her work….. 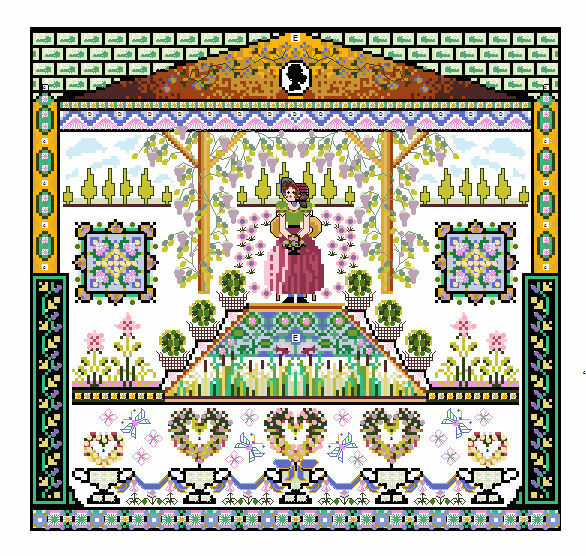 If you love all FOUR of these medium sized gardens, you might wish to purchase a “Bundle” of all FOUR designs – with a discount of more then 20% from the single purchase prices.